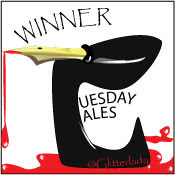 Super Happy Jen's Super Happy Blog: I won Tuesday Tales! "In the urban dictionary Sassinak means: English Scum, Also Sassinak is the name of Anne McCaffrey’s character that went to colonize a new world… instead attacked by pirates she became a slave then got enough skills to be a fleet officer and control of her own ship. " Julia stared at the Sassinak, into the round purple sphere that she thought was its eye, but could have been its mouth. “Will we be waiting long?” it asked in an Oxford accent. Its amphibious bubbling skin spewed yellow slime in her direction. “Forty minutes,” Julia guessed. “The ship needs to be refuelled.” urban legend said the Sassinak would eat you if you turned your back on it. Julia’d never believed that, but now that she was sitting across from one, she wasn’t so sure. “I’m a bit nervous,” said the alien. “I’ve never been to —-” It pronounced the unpronounceable name of its homeworld, never losing the English lilt. Two tentacles emerged from folds of slimy skin and Julia noticed the Sassinak wore a friendship bracelet. It shrugged, a distinctly human gesture. 200 words on the button! Thanks to the judge of this week's contest Jason McKinney. 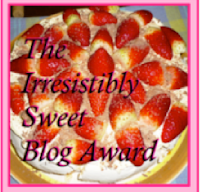 Also congrats to the honourable mentions: @Call_Me_Bookish, @LupusAnthropos, @solimond, and @ChuckWesJ. Posted by Super Happy Jen at 8:25 a.m.
CONGRATS! Until next week when you defend your title! Congratulations. Sassinak and Urban Legend? Where's Google? And I stopped by ... I adore the comment you left on my blog about Santa driving on the left! Cheers! Congrats on your win. Of course wimnning isn't supposed to be everything, but it sure is fun, isn't it?